Sharing my passion for sewing ALL the things. Lover of handwoven & ethically made fabrics. 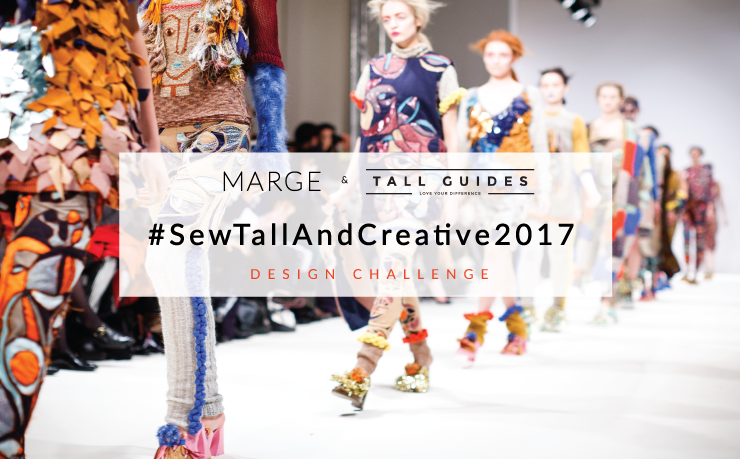 I am equal parts excited and terrified to be participating in the MARGE and Tall Guides design challenge. The challenge is to make a Spring / Summer dress using 2 fabrics generously gifted by MARGE clothing. Having been the lucky beneficiary of MARGE fabrics before, I knew I couldn't resist the opportunity to sew with their stunning ethically made fabrics. Who could?! Please check out the other fabulous participants in this challenge. All of whom I'm trying to put out of my mind because I'm intimidated by their awesomeness! I will update you on the challenge as it unfolds, so be sure to check back! The winner will be announced 20th of May (*big gulp* that's sooner than you think my lovelies!!). Wonderful and beautifully tailored dresses. You have done the justic to their fabric that is why you have been their choice. Good work and keep it up! Good luck dear for the show ahead. I am sure you will look pretty in this dress because it is well designed and stiched. Color of the fabric is also good. Waiting to see the results soon. All images & ideas belong to The Tall Mama. Other sources identified. Please ask before using.. Simple theme. Powered by Blogger.